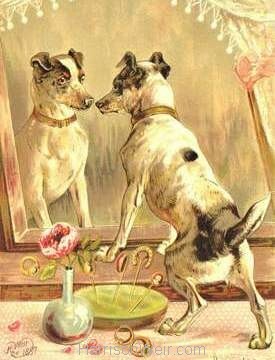 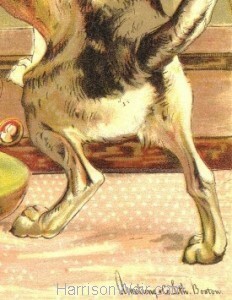 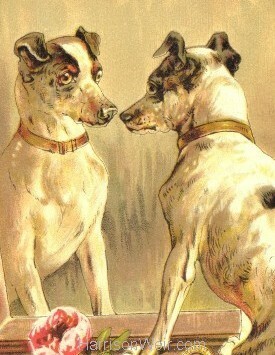 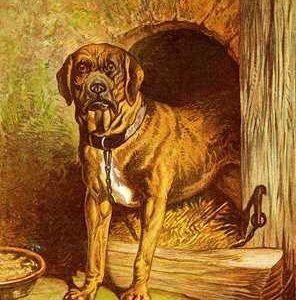 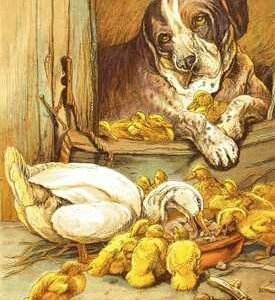 This very much “in the pink’ image of a Terrier dog who meets itself in the mirror and is transfixed by the gaze of the other dog, is a unique illustration by Harrison Weir which appears to have been printed exclusively as a cover for the 1887 edition of “Chatterbox” from publishers Estes and Lauriat, in Boston. 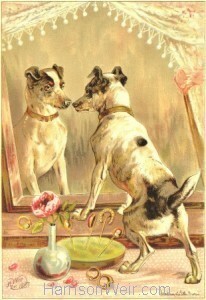 What was even more unique is that in this case, the image appears to have been printed separately as a coloured lithograph, and then pasted down onto the cover board. 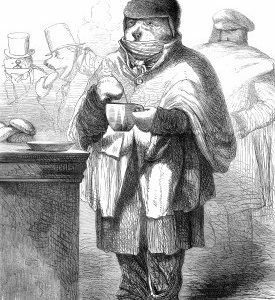 The name of the lithographers “Armstrong & Co, Lith. 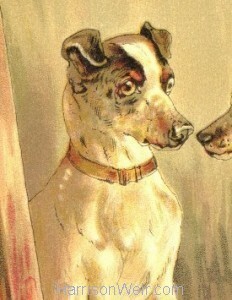 Boston” appears in the bottom right hand corner, opposite the artists signature and date, which is in the bottom left hand corner. 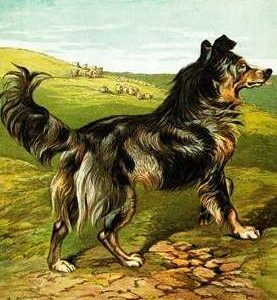 This edition is extremely rare and we have only ever seen a couple of copies over a number of years. 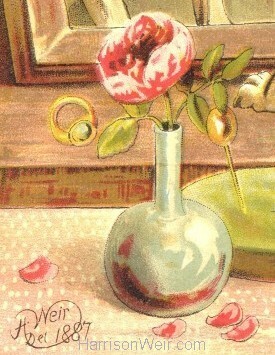 We are fortunate to have an excellent one in the collection, from which this print has been created. Available for you to enjoy, and ideal for a young person’s bedroom…in A4, A3 and A2 sizing options.